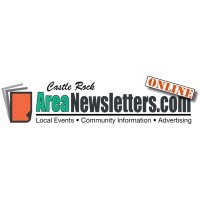 Advertise your business in the Castle Rock ''AreaNewsletters'' online ~ get FREE exposure. Do your employees deserve a sweet treat? Would you like to show your appreciation to your staff, but not sure how? Rocky Mountain Chocolate Factory Cafe is your solution! From caramel apples, to decadent truffles, to an assortment of dipped fruit, we have the perfect treat ready to cater into your office. As a bonus for being a Chamber member, we are offering FREE delivery to the Castle Rock area PLUS 10% off your total catering order! Call our store at (303)955-8160 to place your order today! FREE Delivery PLUS 10% off Any Catering Order! Let us help you plan your next business lunch of party! MidiCi's has a great new Catering menu. Please Join us for our FREE Seminars, on various Saturdays through June 2019! These classes are open to the public. Please RSVP.